Designed with remarkable precision, this sleek 2” cross-section luminaire exhibits the purity and simplicity you seek in a basic geometric form. 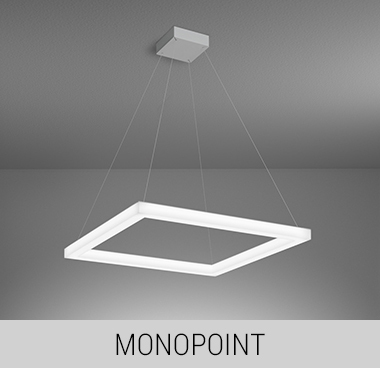 With three fully-luminous sides, a seamless diffuser, and nearly invisible energized cables, Novato 2” Frame is the ultimate design tool in architectural lighting. But don’t feel like you need to sacrifice performance for beauty. This powerhouse delivers an incredible amount of light. Choose from 2’, 3’, or 4’ sizes. Novato 2” Frame is fully and evenly illuminated on three sides - giving you the purest light form to design with. Its unique construction broadens the light distribution and adds vertical illumination. Crafted by hand, the diffuser features crisp, mitered corners that are well-lit. A seamless diffuser provides a flawless finish that impresses from any angle. No detail has been overlooked. Energized cables eliminate the need for a power cord and reduce ceiling clutter to provide weightless sophistication. 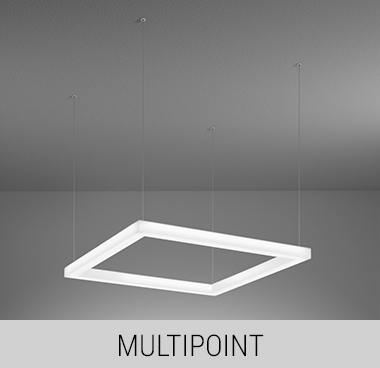 Choose from multipoint or monopoint mounting options. But most importantly, Novato 2” Frame is more than an accent light. It delivers the impressive performance the Novato family is known for, including efficacy nearing 100 lumens per watt, while maintaining a comfortable luminance level.